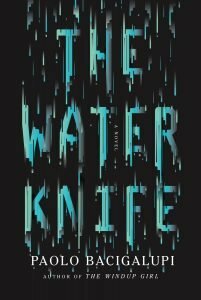 This is the near final schedule of where I’ll be reading, talking, and signing copies of THE WATER KNIFE as it goes out into the world. Looking forward to seeing everyone! 7:00 p.m. —	Tattered Cover (Colfax), 2526 East Colfax Ave., Denver, CO 80206. Reading/talk, Q&A, book signing. 7:30 p.m. —	Boulder Bookstore, 1107 Pearl St., Boulder, CO 80302. Reading/talk, Q&A, book signing. 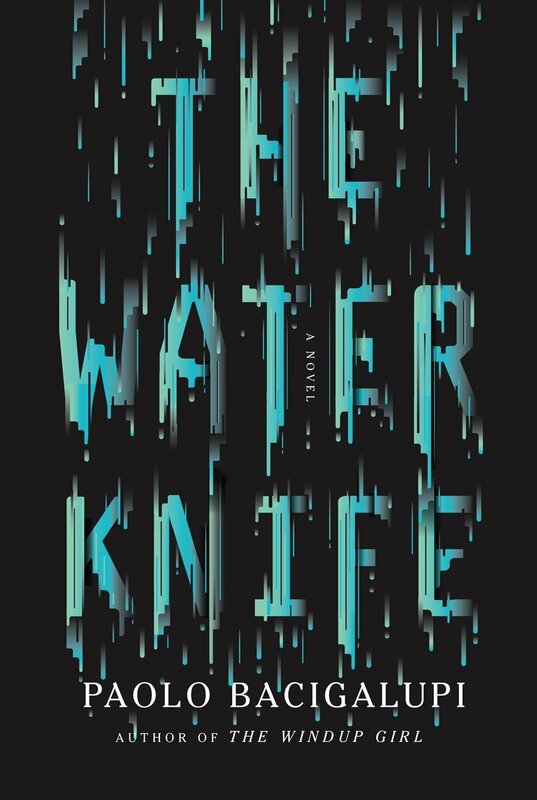 10:00 a.m. —	BEA Book signing at the Penguin Random House Booth for THE WATER KNIFE. 3:00 p.m. —	BEA Book signing at the Skyhorse booth for THE WINDUP GIRL. 5:00 p.m. —	Brookline Booksmith, 279 Harvard St., Brookline, MA. Reading/talk, Q&A, and book signing. 7:00 p.m. —	Anderson’s Bookshop, 123 W. Jefferson Ave., Naperville, IL 60540. Reading/talk, Q&A, and book signing. 7:00 p.m. —	The King’s English, 1511 South 1500 East, Salt Lake City, UT 84105. Reading/talk, Q&A, and book signing. 7:00 p.m. —	Changing Hands Bookstore – Phoenix, 300 W. Camelback Rd., Phoenix, AZ 85013. Reading/talk, Q&A, and book signing. 7:00 p.m.–	Copperfield’s Books, 140 Kentucky St., Petaluma, CA 94952. Talk/reading, Q&A and book signing. 3:00 p.m. —	Bay Area Literary Festival Panel – “Futurism, Fatalism, and Climate Change”, at the Brower Center, 2150 Allston Way, Berkeley, CA 94704. 12:15 p.m. —	Bay Area Book Festival, Solo event at the Freight & Salvage Coffeehouse, 2020 Addison St., Berkeley, CA 94704. Talk/reading, audience Q&A, book signing. 3:00 p.m. —	Borderlands Books, 866 Valencia St., San Francisco, CA 94110. Reading/talk, Q&A, and book signing. 7:30 p.m. —	Mysterious Galaxy, 5493 Balboa Ave (Ste 100), San Diego, CA 92111. Talk/reading, Q&A, and book signing. 7:00 p.m. —	Vroman’s, 695 E. Colorado Blvd, Pasadena, CA 91101. Talk/reading, Q&A, and book signing. 7:00 p.m. —	Powell’s Bookstore, Cedar Hills Crossing, 3415 SW Cedar Hills Blvd., Beaverton, OR. Talk/reading, Q&A, and book signing. 7:00 p.m. —	University Book Store, 4326 University Way NE, Seattle, WA 98105. Reading/talk, Q&A, and book signing. 6:00 p.m.–	Rumors Coffee and Tea House, 414 Elk Ave, Crested Butte, CO 81224. Talk/reading, Q&A and book signing.